New system promises sharper imaging, reduced exam times. The first in-house 1.5T SIGNA Voyager MR System in the state of Georgia is now open at Longstreet Clinic. The new system, manufactured by GE, promises sharper imaging, reduced exam times and rescans as well as enhanced patient experience through noise reduction, motion forgiveness and the elimination of breath holds. Longstreet Clinic radiologist David Kimball, M.D., said the new system allows for better imaging quality and sharper detail on a consistent basis. “The software allows for much faster imaging, which means we can shorten the scan quite a bit,” Kimball said. According to GE the SIGNA Voyager “changes the MR experience for the patient” by forgiving motion, reducing noise and eliminating breath holds. Calming videos and sounds also are projected during the scan to promote relaxation. Construction on the new magnetic resonance imaging (MRI) suite began earlier this spring, with the first major piece of the new equipment delivered on April 23. Additional pieces of the equipment were delivered in early May, with GE assisting in set-up and onsite testing. The MRI is now centrally located on the first floor of the clinic’s main 725 Jesse Jewell Parkway location and includes reserved parking spots for MRI patients. The clinic’s previous MRI machine was located across the street adjacent to its orthopedics practice. 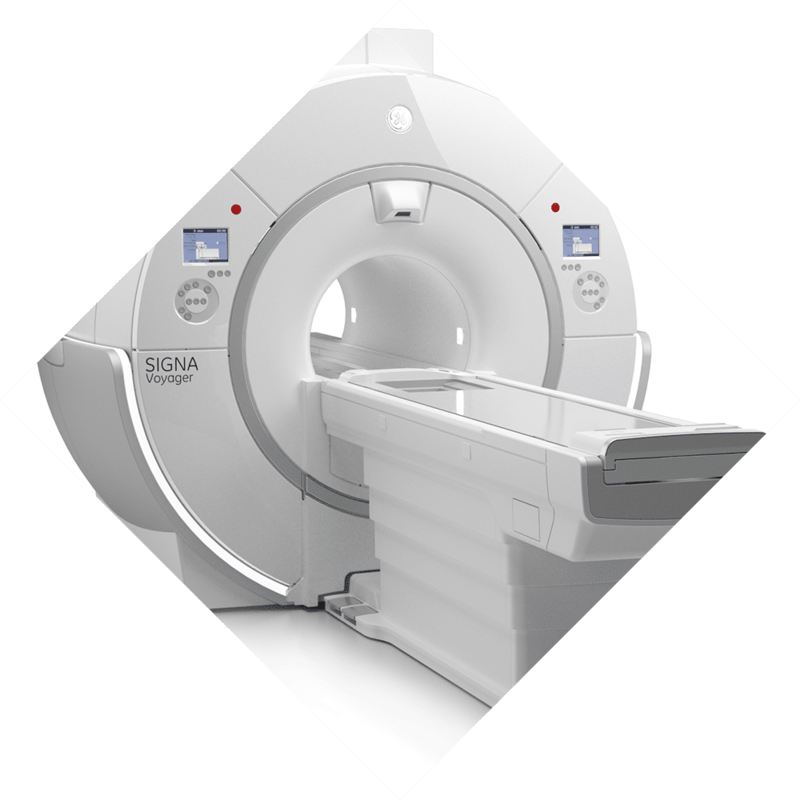 For more information about MRI technology and other imaging services at Longstreet Clinic, visit longstreetclinic.com or call 770-539-9391.